Before Christmas, a friend brought it up, and (again) recommended I watch the series. Later that week, I was gifted the password to the family HBO account. And thus my obsession began. I binged the series in three or four days, and went back again to re-watch everything more carefully. I loved the costumes, the mythology and house history, and of course, the plot twists. And once I was sucked in, I couldn’t pull away. Next, I had to read the books. And once I started reading them, I could not put them down! I couldn’t believe what I had been missing out on. George R.R. Martin is an amazing author. The GoT universe he has created has an incredible amount of historical references, and has even more unique fictional personalities. Each character has their own distinct facets, like gemstones, each a different treasure. Daenerys’ development from lost exile to proud, strong, fierce queen is a favorite of both book and show. The Mother of dragons, breaker of chains, Khaleesi of the Great Grass Sea, she has learned from her weaknesses and turned them into strength. Arya defies stereotypical gender norms completely. Described as unladylike and unkempt, Arya struggles with her identity. In a way, she must lose herself to find herself. Hardened by life, she epitomizes the feminist who learnt her way around a man’s world by way of lack of personal ‘femininity’. And Tyrion truly is the male feminist on the show, who also regularly reminds us of the power of knowledge. “There was a period in my life when I would have called myself a feminist“. As the series goes on, the show diverges further and further from the books. 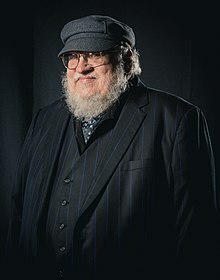 While Season 1 and 2 mostly covered the first two books, “Game of Thrones” and “A Clash of Kings.” The third and fourth seasons track (approximately) with the third book, “A Storm of Swords.” The show has also taken material from the next two books, “A Feast For Crows” and “A Dance With Dragons. Readers first were warned by George R.R. Martin himself that the upcoming round of episodes would veer away from his source material, thanks to the show catching up with certain story lines, and surpassing some in other cases. The Game of Thrones series’s storyline closely follows the story of George R.R. Martin’s A Song of Ice and Fire novels, but there are still some differences between books and series, especially in recent seasons. The show has made the books so alive that reading them is now like playing the entire show in your head but with a lot of extra scenes that never made it to the show. Where one may watch a scene and wonder what is happening inside the character’s head but a person who has read the book knows it; one of the joys of reading the books. Most readers believe The Winds of Winter won’t be finished before the start of season six, though we remain hopeful! The Winds of Winter will be the sixth book in the series and serve as the backbone of the upcoming sixth season of television. To read more about George R.R. Martin and the Game of Thrones universe, visit http://www.georgerrmartin.com/.